The primary grain staples of 1st Century AD Israel were barley and wheat – used to make bread – an important part of the Jewish gastronomical and spiritual culture. Commonly, in that region, the seeds were sown between the months of November and January, then tilled or hoed into the ground to allow to grow and to protect them from scavengers. Beginning about early April the barley fields would begin to be harvested which would last through May when at the end of that month the wheat harvest would be reaped. When first planted the field would obviously have been brown or clay in color, then as the plants grew to their largest size they would be green, and finally as they would ripe in the full sun their color would change to a light gold or cream color. Altogether about an eight-month period of time for both grains. So, when Jesus says these words in the Gospel of John he is using the process of farming barley and wheat as a metaphor for the growth of a community, even an individual in their spiritual growth toward salvation – essentially their readiness to receive the Gospel. In my experience – within the Church and in ministry – this passage was used as a means to motivate and justify harvesting, which was needed for not just our communities but the whole world – people were ready, we just needed to “harvest” – ready to respond equally to the message of the Gospel. But my practical observations were saying otherwise. Of course I have ministered in places like New England and New York City, places not exactly seen as always “harvest ready”. And even when I moved much further south to Florida and now South Carolina, this same tone seemed – and seems – to remain. In many other parts of the world this appears to be different. There are stories from East Asia and Africa where the Church is growing like wildfire. But not here. I won’t go into the possible “why’s” in this post because that is for another time. But I want to take another look at Jesus’s particular words in these verses to add to the dialogue of the purpose of our pilgrimage as spiritual beings – because regardless of whether we believe it or not we are all spiritual beings in the midst of a journey. Plus, Jesus’ last words to “go” and “make disciples” and “teach” are still as important today as they were when he first uttered them. I want to make an observation about this passage and then in the next blog ask questions. It was revelatory for me one day when I read these words and realized that harvesting isn’t the only thing Jesus talked about in this passage. Look at the lines, “There are yet four months, then comes the harvest”, “so that the sower and reaper may rejoice together”, “One sows and another reaps”, and “I sent you to reap that for which you did not labor. Others have labored, and you have entered into their labor.” What’s going on here? Harvesting is a part – a vital part but only a part – of the whole process of growing. 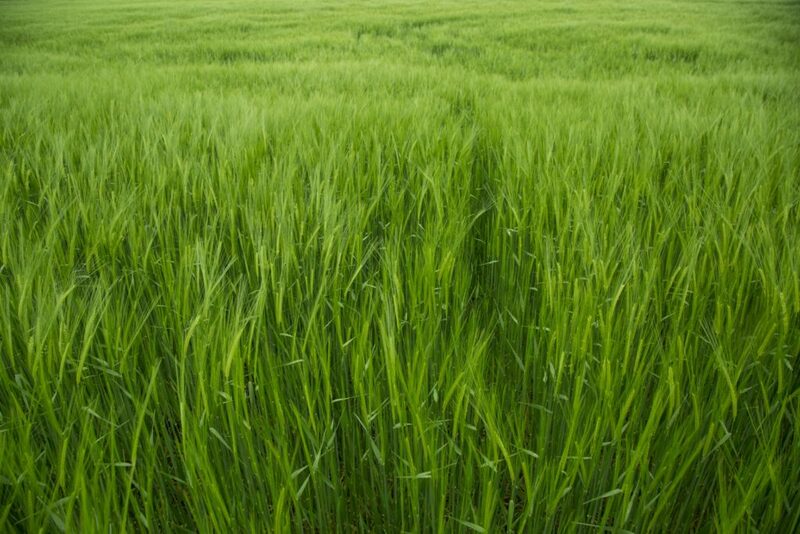 Remember, the seeds of barley and wheat were sown over a three-month period. Then there was a time of waiting, followed by the harvest six sometimes eight months later. In that waiting time work was still being done. After sowing occurred there was tilling, to drive the seeds a little deeper into the soil so they could grow. When the seeds sprouted and grew from little pieces of “grass” to full healthy plants, the fields were protected from scavengers – like birds – looking to gorge themselves on the bounty. Finally, at harvest time, the fields turned from a deep green to a light gold, almost “white” color, and were ready to be scythed and bundled (reaping) together to be sent into the process of threshing and winnowing. Next I’ll ask my question about this passage.